Derrick Dodge Dealership, a Chrysler dealership in Edmonton, Alberta, offers you a stress-free process to buy a car. If you are searching for a car, you need to consider a few factors that come into play. You need to consider your budget restraints, requirements, and lifestyle. The last thing you want to do is buy a car that exceeds your budget. Even if you find a car that checks all of your fields, you need to ensure the car dealership you are buying the car from is a reputable Chrysler dealership in Edmonton. Derrick Dodge Dealership is a Chrysler dealership in Edmonton you can completely trust to find you a car that meets your requirements. In fact, we will take care of all the details. You can tell us your requirements and preferences and we will shortlist several cars that match your description. On top of that, we will also offer you a favourable auto loan plan. We offer both used and new Chrysler, Dodge, Jeep, Fiat, and Ram. When you are shopping around for a car at Derrick Dodge, do not concern yourself with the price because we will ensure you leave our dealership, keys in hand, in your dream car. We offer numerous car finance options to make it possible for you to buy your dream car at a price you can afford. I wanted to purchase a car that was within my budget. A friend recommended I visit Derrick Dodge Dealership. He said they could get me a good auto plan, which is exactly what they did. I walked out with the keys to my brand new car. I checked out several car dealerships before I went to Derrick Dodge Dealership. They answered all my questions and allowed me to take my time. I bought my car from there and I just wish I had found them sooner. I wanted to purchase a used car for my daughter. The used cars I checked out were in poor condition, but at Derrick Dodge Dealership, that was not the case at all! My daughter loved the used Chrysler 200 I bought for her. What type of vehicle are you looking to buy? — a sedan, truck, or a jeep? Whatever your driving needs are, we will fulfill them. At Derrick Dodge, we offer high quality and reliable models from Chrysler, Fiat, Ram, Dodge, and Jeep. We want to make it easier for you to find a car. As a certified Chrysler dealership in Edmonton, we have done just that. 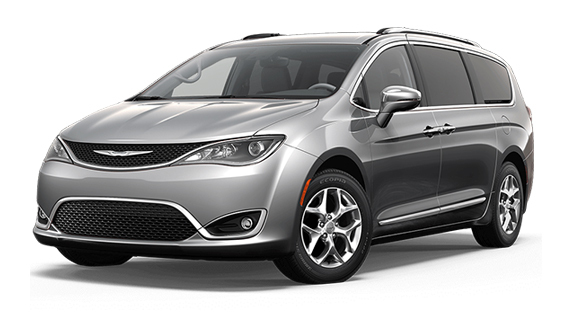 Our expansive collection of Chrysler vehicles includes Chrysler 200, Chrysler 300, Chrysler Pacifica, and Chrysler Town and Country. If you are looking for a brand new car or a pre-owned car, visit Derrick Dodge Dealership today to browse our range of Chrysler models. Visit our car dealership in Edmonton, AB to look at the new Chrysler, Fiat, Jeep, Ram, and Dodge models. If you need help finding your dream car based on your budget, contact our sales professional. Our pre-owned cars are an affordable option for people looking for a cheaper option. You will not find fault with our used cars because we perform a complete inspection to ensure they run smoothly. We offer a comprehensive range of vehicle services such as maintenance and repair. If your vehicle requires repair or maintenance, contact us to schedule an appointment. If you want to buy a car, but you are on a tight budget, get in touch with us. Our expert finance professionals will help you obtain an auto loan based on your requirements. As a full service Chrysler dealership in Edmonton, AB, it has allowed us to offer our customers a one-stop solution for new and used vehicles. In addition to this, we have successfully sold new vehicles to customers through our “get approved” vehicle ownership plan. When anyone needs repair and maintenance, our name pops up again. Through our commitment to offering customers affordable and authentic vehicles, we have earned our reputation as one of the most reputable car dealerships in all of Edmonton, Alberta. Our efforts to offer customers with several finance options to buy new and used Chrysler, Fiat, Dodge, Jeep, and Ram vehicles has enabled us to create a lasting relationship with our customers based on trust. Our previous customers have been a powerful source of referrals for us, referring us to friends, family, and neighbours. The loyalty we have received from our customers is largely due to providing them the assurance that our pre-owned vehicles will not let them down. At Derrick Dodge Dealership, we take measures to ensure all our pre-owned vehicles are in top condition. To reinforce that further, we perform regular inspections and maintenance on the used vehicles we have in stock and that arrive to our showroom. While you are browsing for a used or new vehicle, the thought of how you are going to afford to buy a car may cross your mind several times. To ease your worry, we offer car finance options for customers who cannot afford to buy a vehicle. We have car finance professionals who, using their expert negotiating skills, will help you work out a better deal by talking to lenders on your behalf. That is not all we have to offer! You can visit us if your vehicle needs repairs or maintenance in the future. Our mechanics have received complete training in performing repairs to Chrysler. If you like a car you see, take it out for a spin. 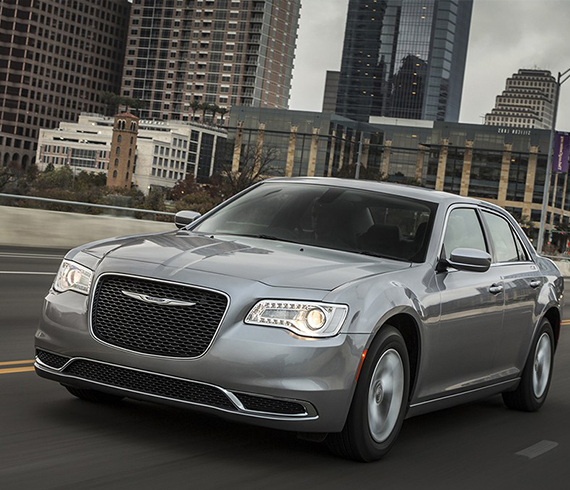 We want you to make the right decision the first time around and taking one of our Chrysler models out on a test drive will help you make a wise decision. Feel free to ask our sales team any questions you may have about our car dealership and our cars. We are here to help you decide.